What do you do when it’s four of the clock in morning and you just can’t fall asleep? I love watching infomercials during that time. Last time it happened, instead, I went to Amazon.com. 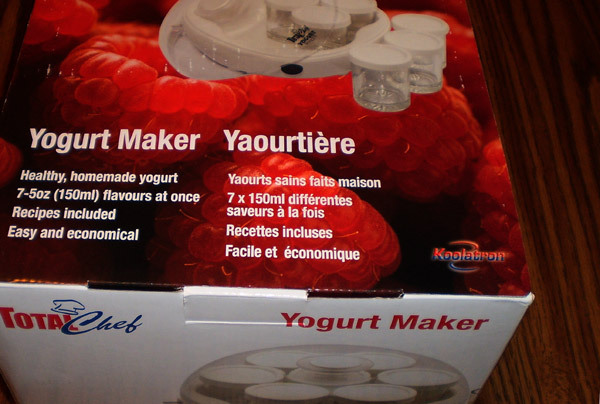 Yogurt maker was on my wish list for more than a year. Reading positive reviews again, convincing myself of supposed argument of benefits (health, economic and culinary) bring forth by homemade custom yogurt, price of $18.88, and my lack of sleep prompted me to click buy. Yogurt maker is just a device (incubator) that maintains a temperature of about 110 degrees Fahrenheit for optimal bacterial fermentation of milk by Lactobacillus species. 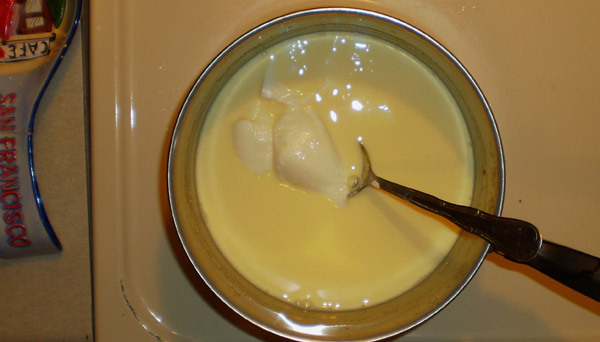 During fermentation of milk, lactose is converted to lactic acid, which gives acidic tart taste later. 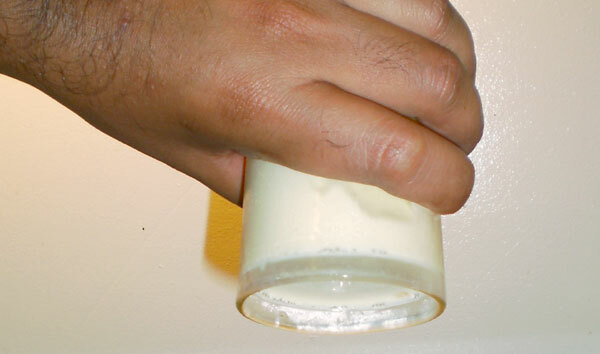 The lactic acid also acts on milk protein to thicken milk’s texture. This partial digestion of milk by bacteria makes yogurt easily digestible and also replenishes non-pathogenic gut flora, small symbiotic microorganisms, in our gastrointestinal tract. The first things that I made with the new yogurt maker were saffron honey yogurt and plain yogurt. As for recipe goes, these are the steps. Unwanted bacteria present in milk and utensils can interfere with yogurt making — resulting in poor quality yogurt. 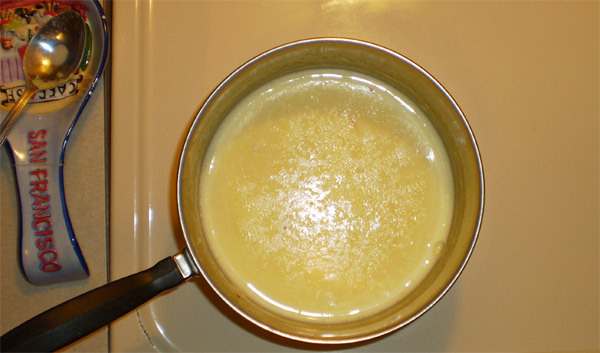 Boiling milk to kill all remaining bacteria (before adding starter yogurt) and using clean utensils should be adequate sterilization. 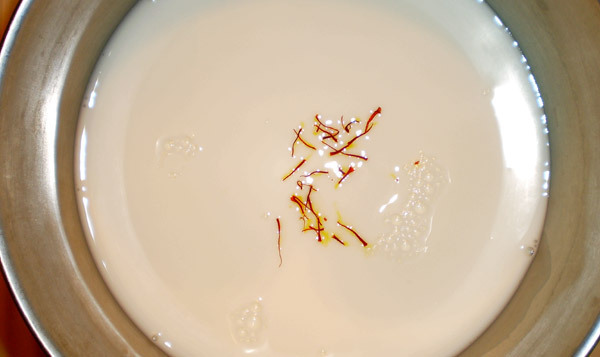 Boil saffron with milk in medium/low heat until you get yellowish tint. A few strands of saffron should suffice. The amount depends on type and quality of saffron. My suggestion is start low and add and taste until you get a desired flavor. Let it cool down to lukewarm temperature. Add honey and starter yogurt, which is can be yogurt from grocery. 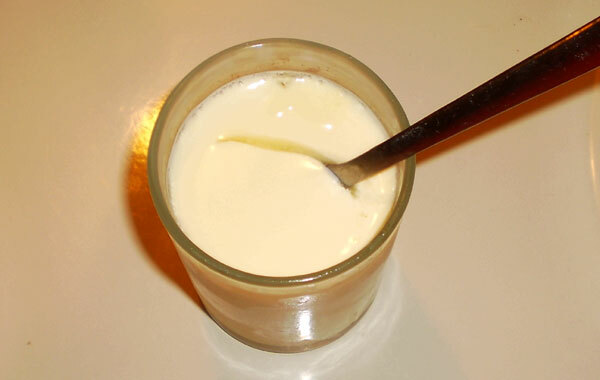 Generally each cup of milk needs about ½ tablespoon of the yogurt. Mix well — preferably few seconds in a blender. Half of my containers have milk that is microwaved to boil, then cooled down to lukewarm temperature, and mixed with starter yogurt to make basic tart yogurt. 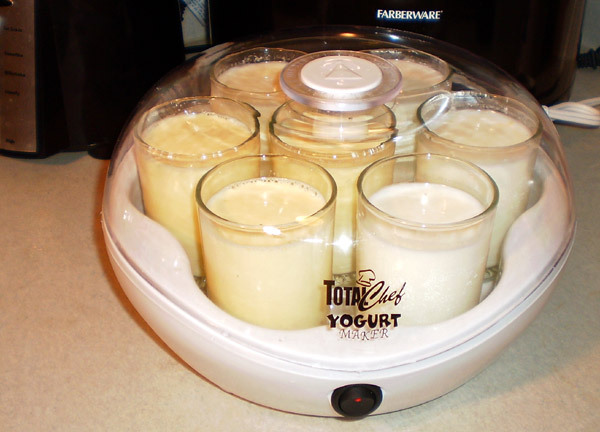 Let the yogurt culture in the maker for six to eight hours. If you don’t have yogurt maker, use insulating box, such as cooler or styrofoam box, that can retain heat for incubating your container of yogurt. You can even use old quilt to cover yogurt container to maintain the temperature. Be creative and use what you got. Refrigerate at least 1 to 2 hour after making. * PS. I know that I could have called this version of saffron yogurt “curd” because its flavor is inspired by the saffron laden Indian desserts, Shrikhand. However, due to lack of universal acceptance, the Pan-Indian use of the word “curd” for “yogurt” will have to wait for now. cool! hope u enjoyed the yogurt, thanks for the tip! I love the picture of you holding the yogurt upside down. well, maybe except the hair. @peace. Thank you for liking the tip in the post. @iloveit. Thanks for liking the picture. About hair, LOL, I didn’t want to shave my hand for the photo. Hey, I loved the yogurt tips–and the saffron honey yougurt looks absolutely ravishing. Thanks for a gr8 post–& about the Burmese food too.